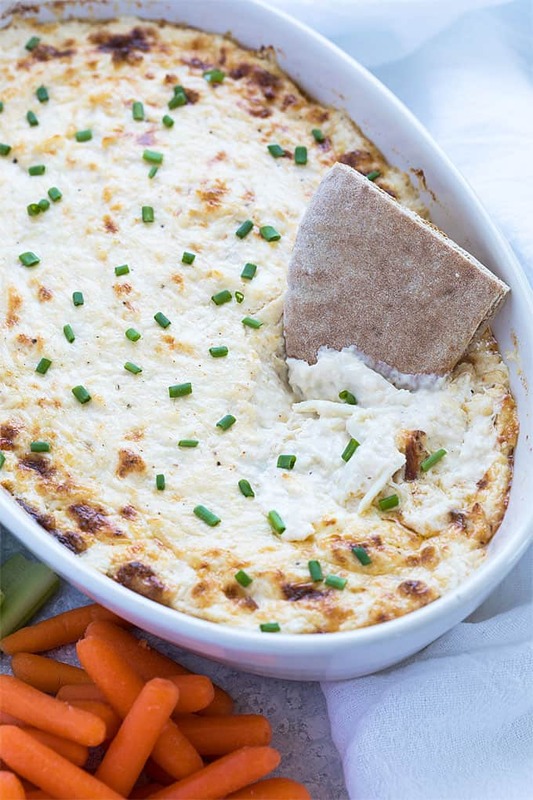 Crab dip with a kick… if you’re a cajun lover, you’re going to love this Cajun Crab Dip! 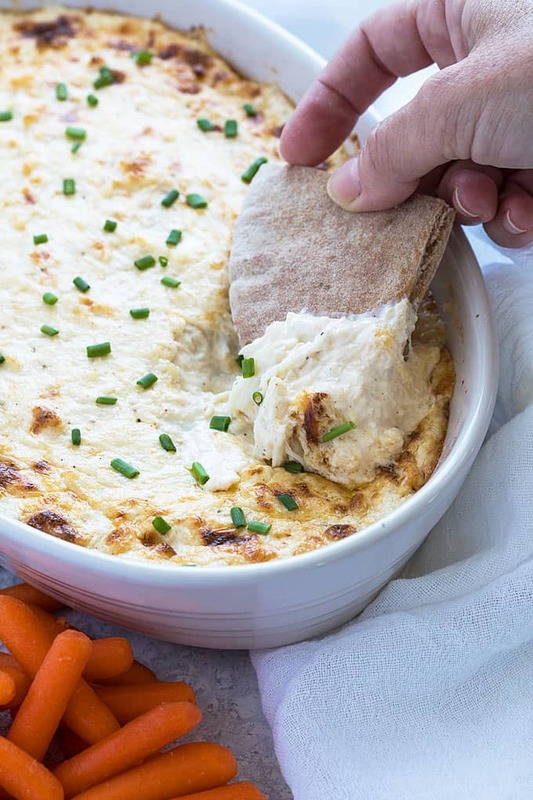 What’s not to love about a hot, gooey, cheesy crab dip?! 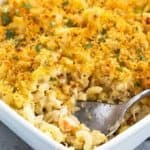 This recipe is so simple to prepare – Just throw everything (except crab meat) into a bowl, stir to combine, fold in the crab meat, transfer to a baking dish and bake. Easy peasy! 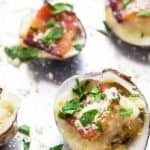 This recipe is not overly hot or spicy by any means… it has just enough of a kick to satisfy my taste buds without being overwhelming. 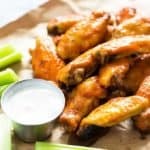 If you’re hard-core about loving hot and spicy foods, simply increase the amounts of cajun seasoning, horseradish and/or hot sauce to your liking. 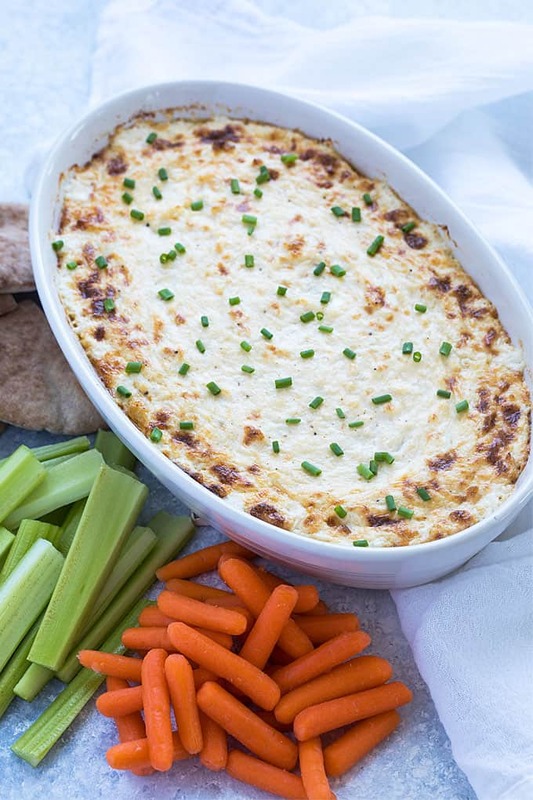 I can’t think of ANY party where hot crab dip wasn’t a welcomed appetizer. 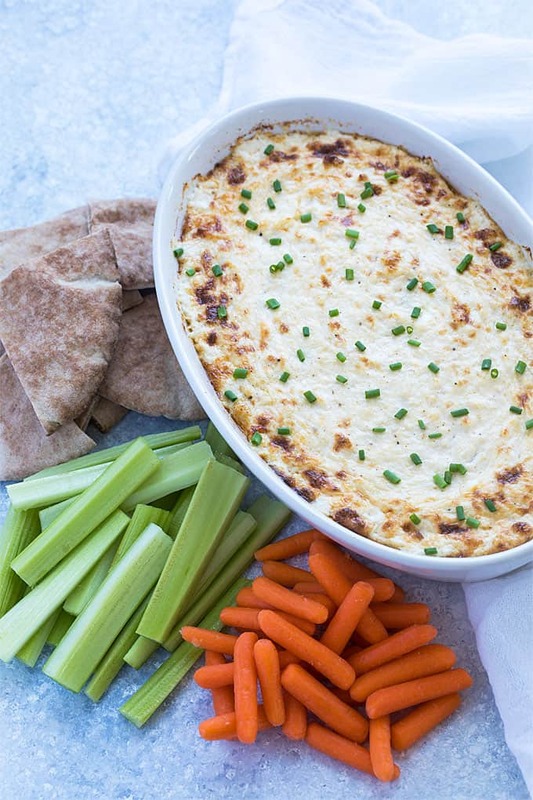 Serve it with toasted pita points, celery, carrots or crackers. 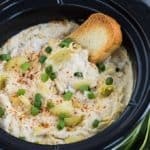 How many servings is this crab dip? 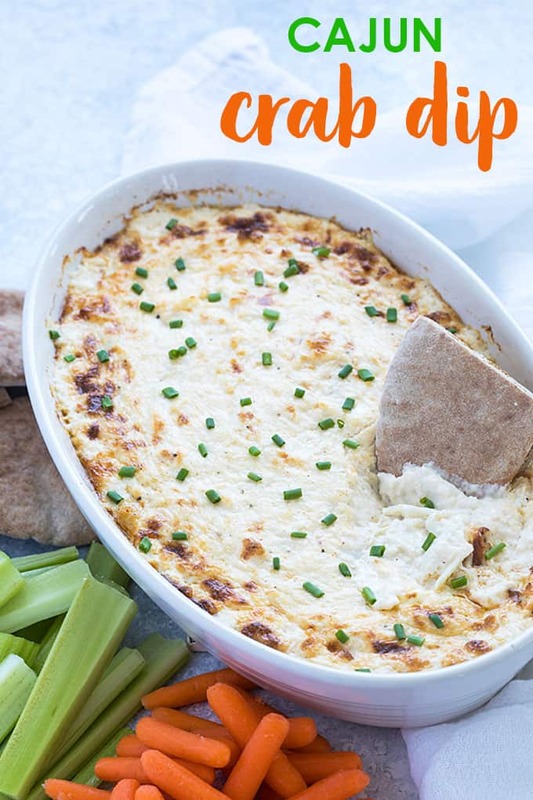 This recipe yields approximately 4 cups of dip. 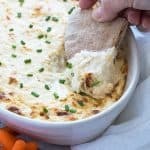 It totally depends on your guest’s appetites, because I’ve seen people eat a cup of this dip at one sitting! Preheat your oven to 400 degrees F. Spray a 1-quart baking dish with cooking spray. In a large bowl, add all ingredients EXCEPT for crab meat and chives. Stir well to combine. Gently fold in crab meat. Spread mixture evenly in baking dish. Bake for 20-25 minutes until bubbling around edges and slightly browned. If more browning is desired, broil on high for 1-2 minutes. 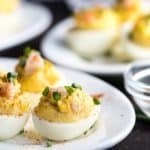 Wish I could rate this recipe ten! It is just wonderfully delicious. 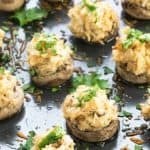 Loved the chunks of lump crab meat and the extra zip of the Cajun seasoning! Thanks so much, Merle! 🙂 So happy to hear!